- The CNAG-CRG participates in a large consortium led by the University of Tübingen, the Radboud University Medical Center Nijmegen and the University of Leicester that has acquired a € 15 million grant for the SOLVE-RD research program. The consortium will use the funding to improve the diagnosis of rare diseases. - The researchers will work directly with four European reference networks (or ERNs): European networks of care providers set up to share and enhance the knowledge and resources used for treating rare diseases. - The CNAG-CRG will contribute to SOLVE-RD by collating and analyzing existing and newly generated genomic and phenotypic data. Barcelona, January 16th 2018.- Patients with a rare disease generally go through a long and arduous process, sometimes lasting ten or fifteen years (also known as the rare disease odyssey), before finding a physician who knows what is wrong with them. Scientific advances can also take a long time, as it is difficult to find sufficient numbers of people with the same rare disease to enable successful research. Collectively rare diseases are common. While for a given rare disease, the number of people will be extremely low, the very large number of such rare diseases means that collectively, their number in Europe runs into hundreds of thousands. In recent years, it has become clear that the ‘eye’ of a doctor alone often will not suffice to diagnose a rare disease. We need better genetic tests to effectively diagnose rare diseases. This is where SOLVE-RD, a large-scale research program operating under the European Commission’s Horizon 2020, comes in. The academic partners taking part in SOLVE-RD have designed an infrastructure enabling the coordination and analysis of all data generated across Europe. Combining the existing exome and genome patient data of all collaborators of SOLVE-RD greatly increases the chances of finding a second or a third patient with the same rare disease. The commitment for sharing data on rare diseases on this scale is unique. But SOLVE-RD goes a few steps further by applying the latest available ‘multi-omics’ methods. If the DNA data illuminate a particular disease, researchers turn to other large scale tests that reflect the gene’s function such as RNA, the proteins (proteomics), metabolic products (metabolomics) and epigenomics. Combining these ‘…omics’ techniques provides the extra information that may ensure that a rare disease is diagnosed. The enormous amount of data resulting from this multi-omics approach must be converted into useful, comprehensible information by bioinformatic scientists using smart algorithms. SOLVE-RD is a unique project, because the research for better diagnostics of rare diseases is directly linked to better care at the European level in 24 Reference Networks (ERNs). These ERNs were set up to improve and harmonize diagnosis and treatment for people suffering from rare diseases. Using shared knowledge and guidelines, a patient in Romania, for example, will receive the same diagnostics and treatment as a patient in Sweden or Spain. The virtual networks collectively pool all existing knowledge and remove unnecessary boundaries. SOLVE-RD comprises four ERNs for rare neurological diseases (RND), neuromuscular diseases (EURO-NMD), congenital malformations and intellectual disability (ITHACA) and genetic tumor risk syndromes (GENTURIS). These ERNs are the first to add and share their patient data, thereby taking the lead in improving the diagnosis and treatment of these rare diseases. Other ERNs will join SOLVE-RD later, and Undiagnosed Rare Disease Programs like SpainUDP created by the Instituto de Investigación de Enfermedades Raras (Instituto de Salud Carlos III) have already agreed to collaborate with the project. In this way, SOLVE-RD will have a significant impact on our knowledge and clinical practice when it comes to diagnosing and treating rare diseases in Europe. The Centro Nacional de Análisis Genómico (CNAG-CRG) is a partner in SOLVE-RD. 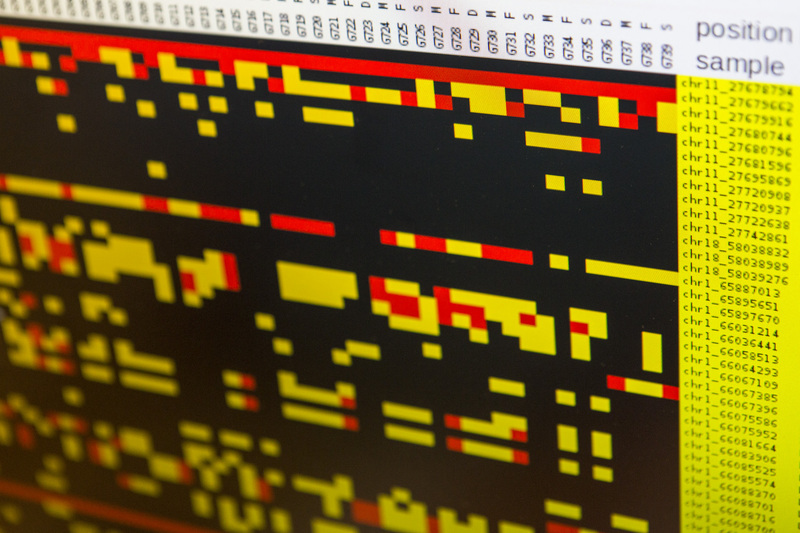 The CNAG-CRG hosts the RD-Connect Genome-Phenome Analysis Platform (https://platform.rd-connect.eu), which will be used in SOLVE-RD to collate existing and newly generated genomic and phenotypic data. The RD-Connect platform provides user friendly state-of-the-art analytics to registered researchers and clinicians while enabling rare disease data sharing. The CNAG-CRG will also contribute to the SOLVE-RD project with the development of new data integration, analysis and sharing methods.